Tea House started as an idea that came after a long stressful day at work-- after making a cup of tea to relax, the thought "Why not make a cup-of-tea game to relax?" came to mind. We're a small Toronto-based indie studio with a passion for cute and relaxing games that are personal and relate able. Tea House is our first game, and we would love your feedback as we work on it so we can make our game a success. 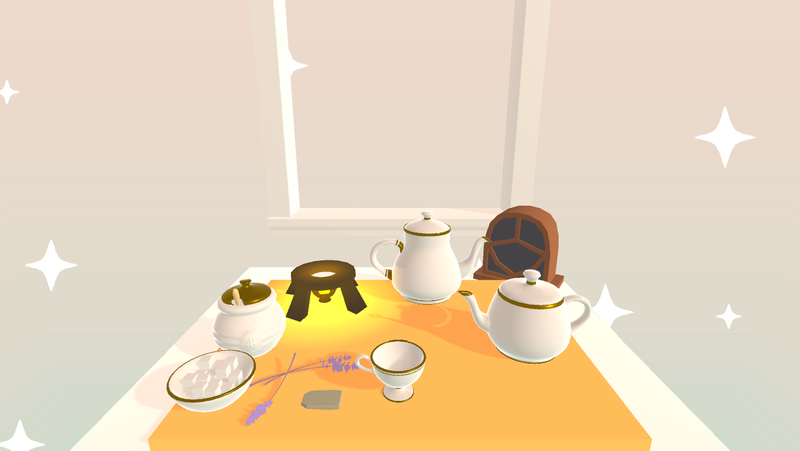 Tea House is a crafting and relaxation simulation game where the player finds themselves in possession of a small tea shop and garden. The game focuses on promoting relaxation and self care through diverse tea brewing rituals. Other activities include tending to your garden, harvesting ingredients to create different tea recipes, and getting to know the townspeople as you grow in their community.